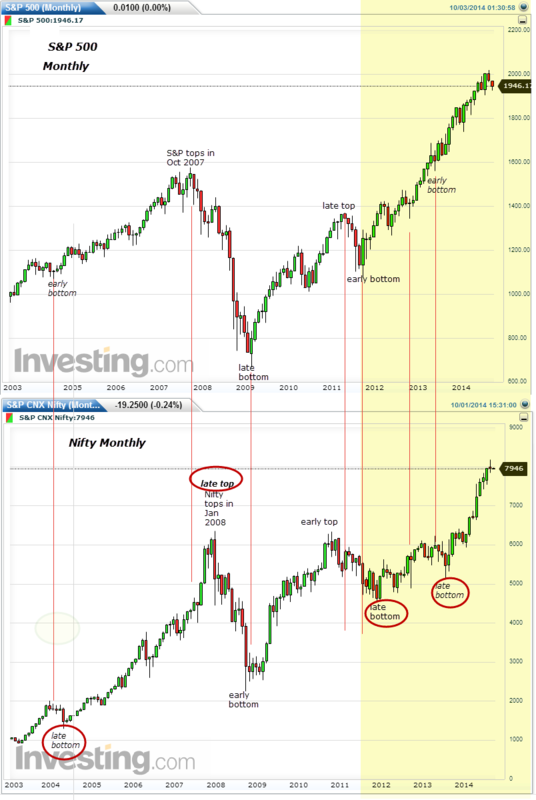 As can be seen, the current monthly cycles of S&P 500 are earlier to that of Nifty. S&P had bottomed out earlier and may top out earlier as well. 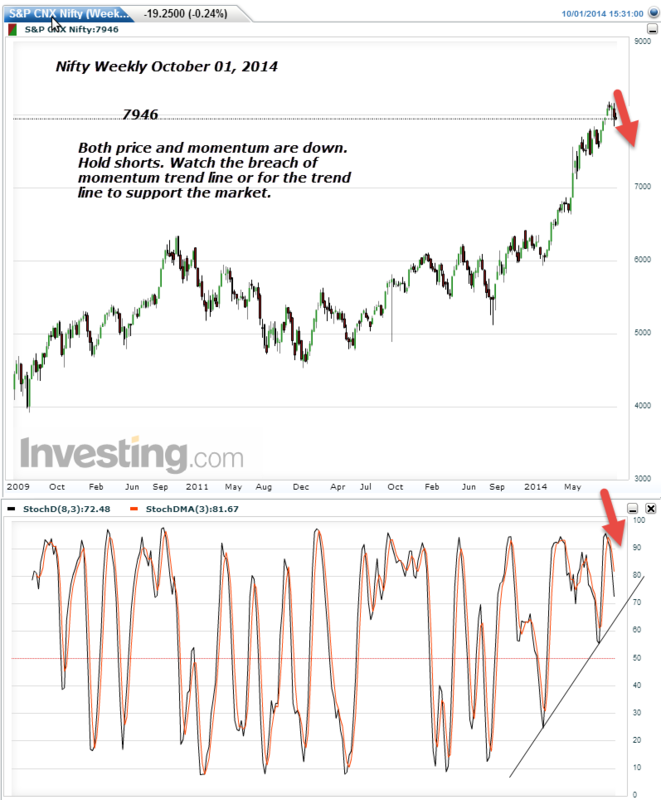 Iam not suggesting that S&P is going to top out now.It is perfectly possible that the US Index will warn us beforehand in case of a long term reversal. Since long term planets are not sufficiently engaged with one another, Iam skeptical of projecting any long term reversal in both indices. Still this study tells us that possibly the S&P may top out first. In the context of astrology, these synchronicities may only be explained if astro factors which affect all of them universally is considered. And those are Aspects. Aspects are the same whatever be the Ayanamsas considered. Before we get into the counts, let us look at the momentum charts.. 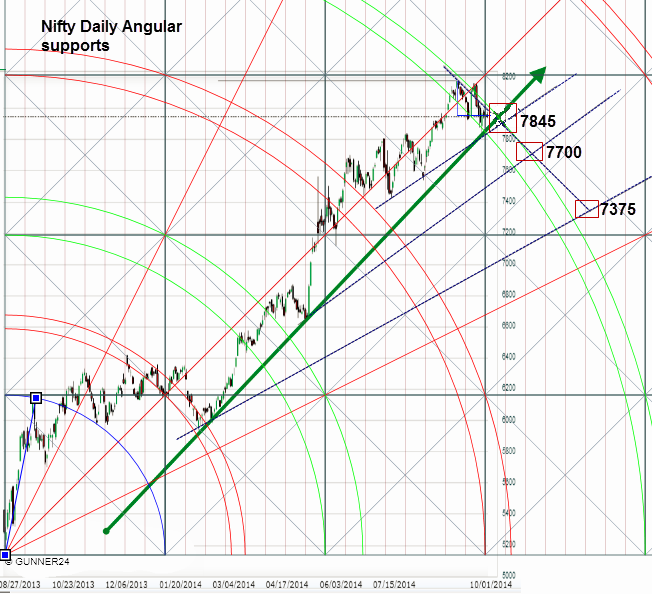 Even though I had shown here three angular supports, I expect 7845 to hold or at the worst, 7785. 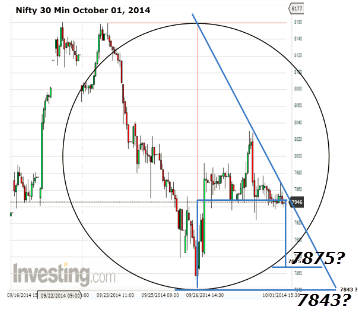 It is highly unlikely that we may slip to 7700 and below. But then market is always supreme. Finally a look at the time price square indicates that 7875 and 7843 can be important levels. 2. 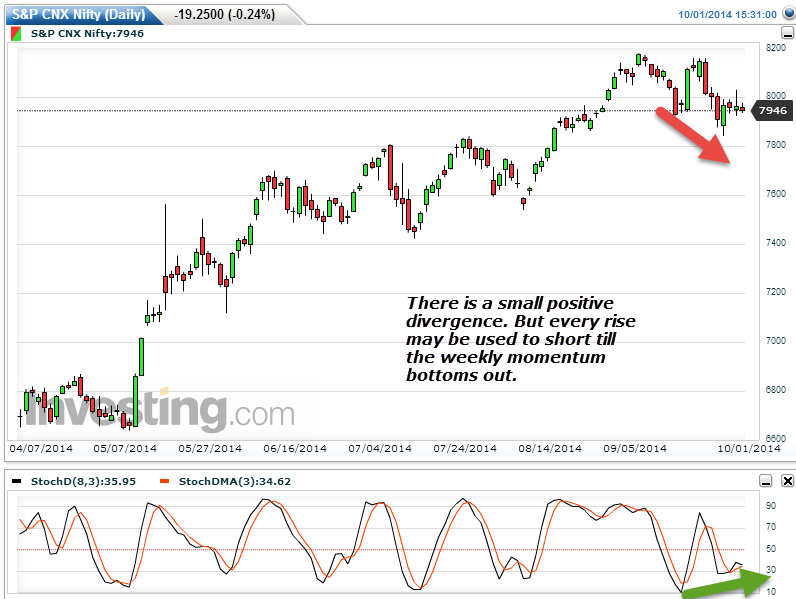 Weekly momentum is negative. We wait for the smaller time periods to fall in line with the weekly, before venturing to buy anything.Till the weekly bottoms out, all upward movements are safe shorts. 3.Price wise 7875 and 7843 are levels to watch. 4.Astrologically, upto October 13, we are in a very volatile period. 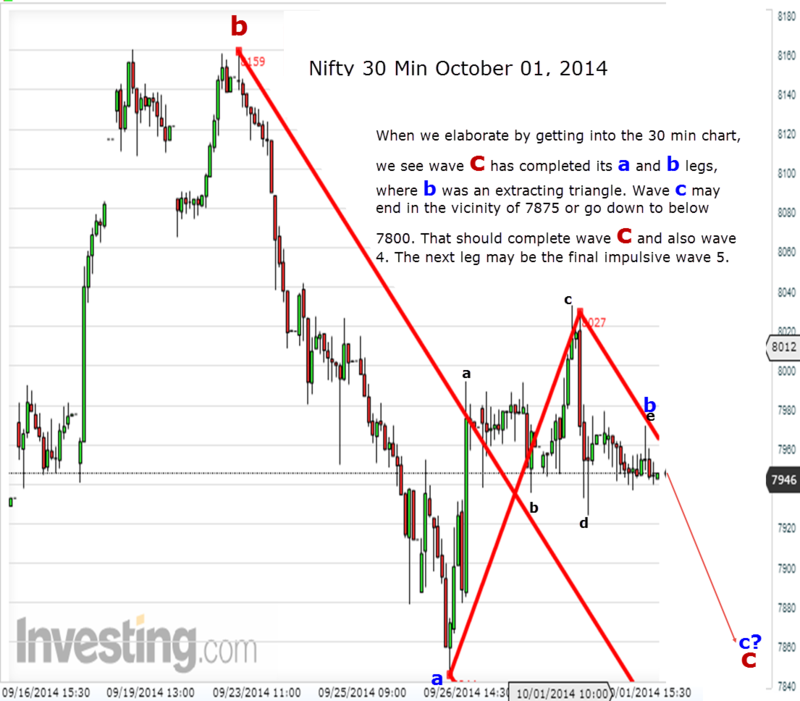 Positional trades can be taken up after October 13th. 5. Iam yet to see evidence of a major top in the making. Larger time planets indicate this could be some months away. 6. These are just my understandings.Let me state they are not recommendations. Errors and omissions are to be expected! In the meantime, have a great holiday and enjoy the dynamics of October! I would love to receive feed back.Do let me know your mind. In recent of ur posts U said great fall never seen is coming. Please tell more on that. You can see that major reversals are some time away. In previous posts, where I had discussed two options for Nifty movements, post 2008 January reversal, I had discussed two options.1. Current move being diametric 2. 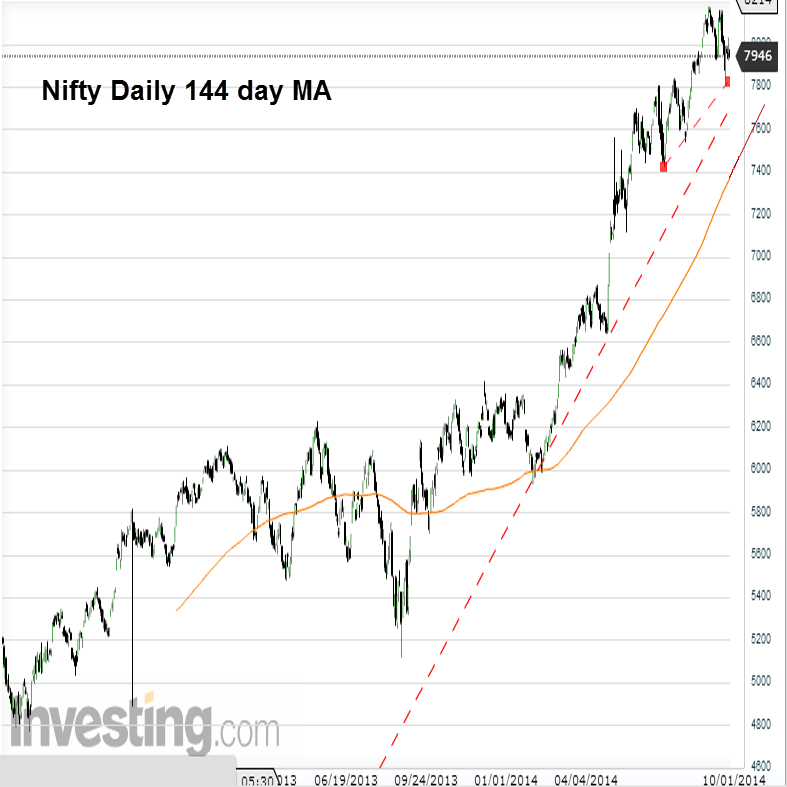 Current move being impulsive after the end of an Ascending triangle at 5119.This second move will be validated if Nifty does not crash in October 2014. Why? 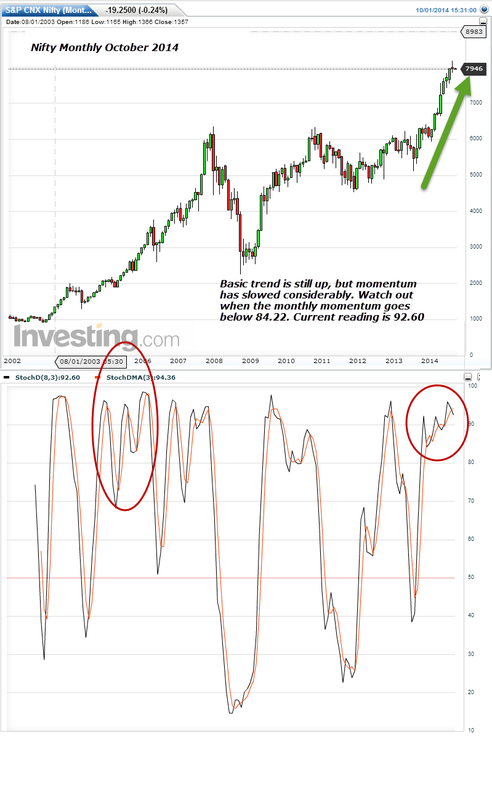 Then it will imply that the time cycles of Nifty are extending.December 2011 to June 2012 was a six month cycle.June 2012 to August 2013 was a 14 month cycle. Similarly August 2013 to February 2014 was a six month cycle. So from February 2014 we are in a 14 month cycle,Currently we are in the 9th month.So this cycle could end by March 2015. Remember, the previous cycle from October 2008 to December 2011 was a 39 month cycle. Now, cycles are bottom to bottom. Since this cycle has shown a right handed lenience, the top could come closer to the next bottom, in terms of months ( not price). 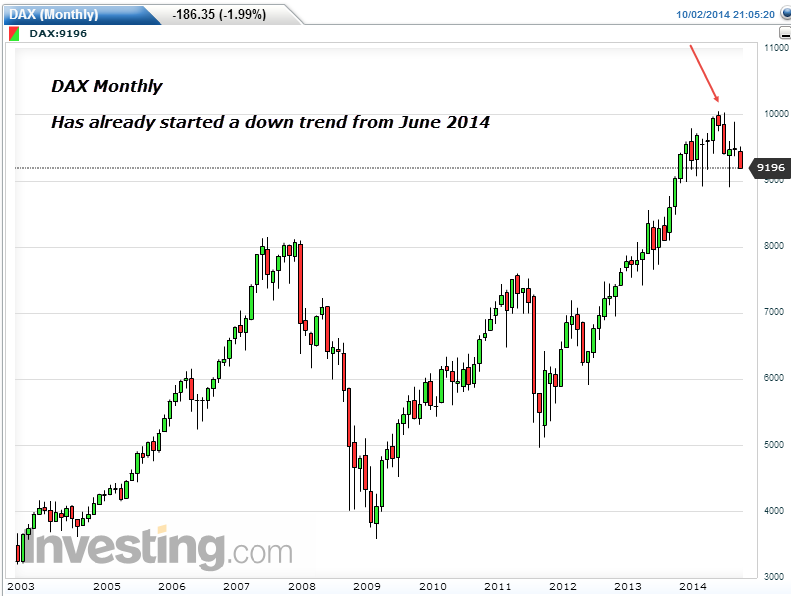 So a top could form somewhere in January 2015.Can September 2014 top of 8180 be a significant top? Technically it can. But we are forming late bottoms compared to S&P now and S&P is forming a bottom right now. This means there is a possibility of S&P rising in the last quarter of 2014. 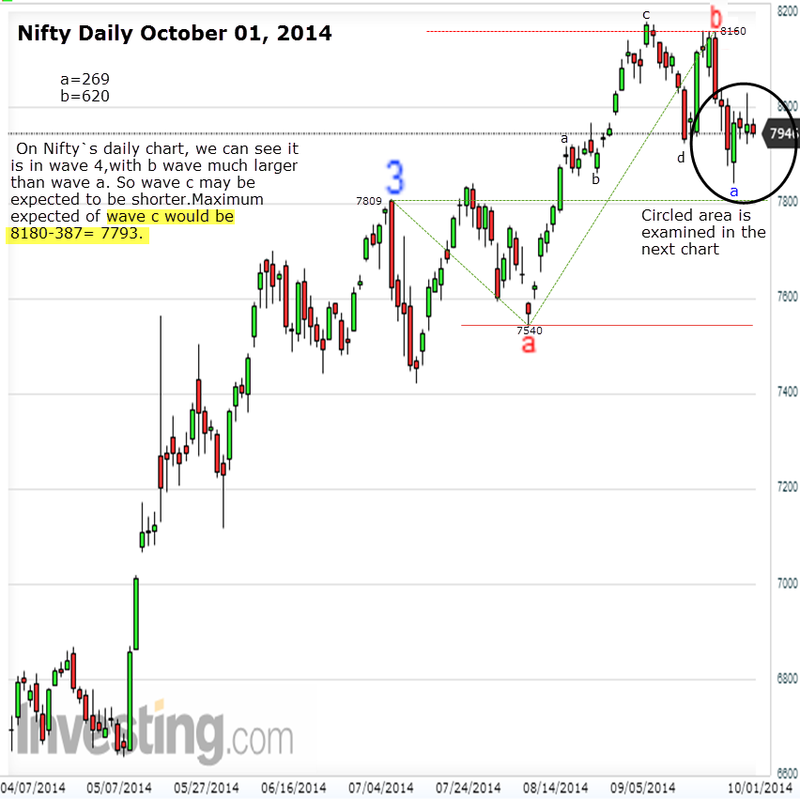 So the chances of September 2014 being a significant top for Nifty is remote. In other words, we will follow the US Markets and make a top after them. Another reason is astrological. By January 15, 2015, Rahu will be square Pluto and opposite Uranus. Ketu will be conjunct Uranus. Pluto will still be square Rahu and Ketu and Uranus.Pluto will be sextile Chiron. Saturn will be square Mars.Ketu, Uranus and Retrograde Jupiter will all be in Mercury star, while Rahu will be in Moon star. 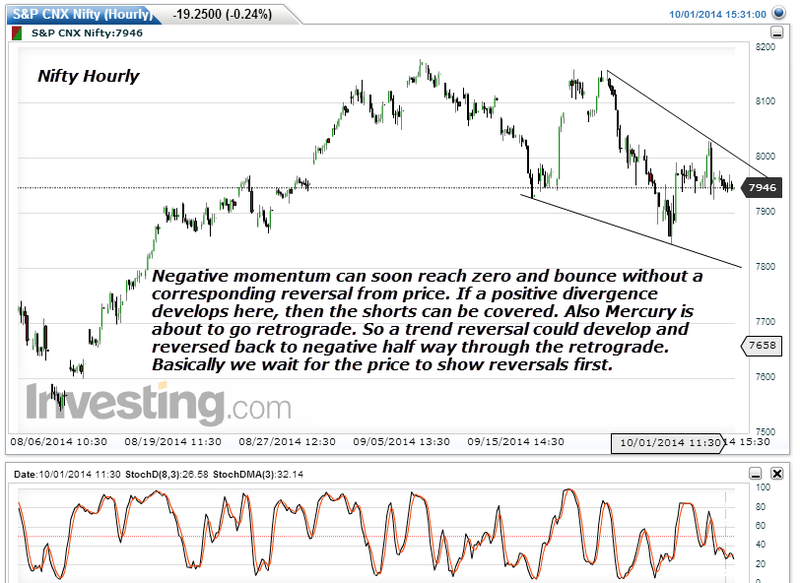 Moon and Mercury are not good for Nifty. And with so many long term planets in inimical formation, that could be the time for a long term top. Thanks a lot. I was under impression that longterm reversal is near. So now i can play long. Fair enough, but let me remind you of the possibility of huge volatility. Mercury retrograde and Venus Pluto square both will precipitate troughs or bottoms.So it is very very important to be careful right now. "It is now the turn of Venus to square Pluto and force a standoff. Now this is the first signature which signifies a powerful trough nearby. It is time to be careful of shorts, but usually the trough forms at least after 5 trading days.From the chart below, we see how Uranus and Sun are getting into an opposition. On this day, October 07, Uranus gets into its declination extreme. This only makes the effect of Uranus more pronounced." Thanks Pankaj. Nice to know that our views match those given by Stalwarts like Mahendraji. and Mahendra Sharma's views were more matching with yr studies . so i posted the link. I respect Shastriji' s work.He had personally commended me when I had started this blog.According to his own views one has to express his view points to the best of his ability.Which is precisely what I am doing Pankaj.If if comes correct we have one kind of learning.If it does not also we learn is it not? I know this much..the very exercise of writing these posts have deepened my understanding, truly.That of course was and is my primary objective. with the many thanks to you for posting such an enormous work and sharing that with us week after week; do you think that coming few weeks might be possible for s&p to test back to 1904 level as there are so many geographical hotspots going on and making markets to come down and also for $ to go up as the safehaven currency???? S&P is bottoming out this coming week.It should resume its uptrend now and go on till end of year.Due to excessive volatility, if it come to 1905 or so it is an excellent buy. Gold index has come out of a large triangle pattern in the monthly chart. It is slated to hit 100 in the coming six months.Future risk is not inflation but deflation. When the deflationary forces start acting next year or the year after, then dollar and S&P will move down together.